U.K. Customers Our normal delivery is via 1st class Recorded post by Royal Mail to all U.K postal addresses, and it is included in the price. All orders are guaranteed to be posted Same Day, however there is no guarantee that your order will arrive to your address next day, Experience have shown us 1st class post can take between 1 and 3 day(s) to arrive within the U.K. If you are in urgent need of your documents then please select next day guaranteed delivery option from the order page, For next Day guaranteed deliveries, Orders must be placed before 4.30 pm Monday to Friday. For a next day guaranteed delivery, we use Royal Mail, and next day guaranteed delivery service is guaranteed by Royal Mail, 99.9 % percent of the time deliveries are made on time by Royal Mail. European Customers Deliveries to Europe are via Air Sure post by Royal Mail and it will incur £10.00 postal charge. All orders are guaranteed to be posted Same Day. 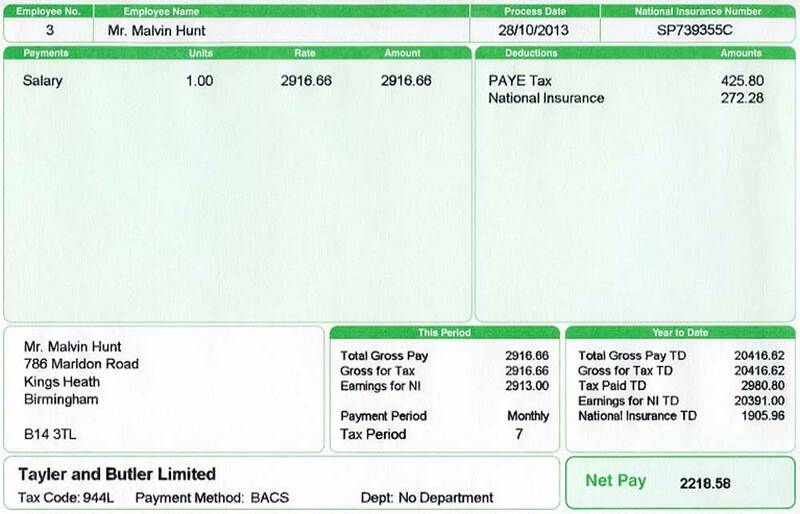 If you require your Payslips or/and P60 urgently you can request a fax or email service and we will fax or E-mail you the Payslips and/or P60 within 2 hours. International Customers Deliveries to rest of the world are via International Signed for post by Royal Mail and it will incur £10.00 postal charge. All orders are guaranteed to be posted Same Day. For mortgage, loan, or car finance purposes we Strongly Recommend that you should have payslips which will show your home address. Our Premium, Security Plus, and Plus Payslips will show your address on them. Please select anyone of them. We can Fax or E-mail your order to you within 2 Hours for £4.95 and we will post the original to you on the same day. You can select this option from Order Page. Any extras such as working out Bonuses, Overtime, Pension schemes, Stock purchases, Creating employee department, etc. will cost £4.95 each. You can select this option from Order Page. We provide a fast and efficient service and you can have your order delivered through your letter box NEXT MORNING! Copyright © 2013 A1 Payroll Ltd All Rights Reserved.